6 Convenient Locations Find one near you today! Our goal is to deliver consistent; fast, quality and friendly service. Expresso Car Wash started in 1969 as "Pennywise". This is the first of now 6 locations. The original was built at 201 Illinois Avenue in Maumee, OH. At that time, only one location existed. Our Maumee location now stands on that land. Expresso has stretched her arms over the Toledo area, covering the west (Woodville), central Toledo (Central Avenue location), north (Alexis) and the south side (Maumee and Airport locations) offering six trusted and convenient shops. 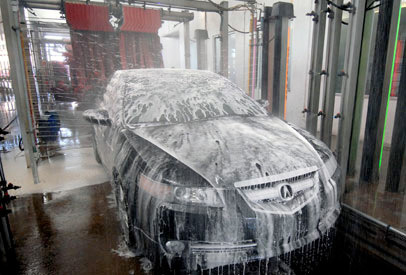 Expresso also offers Lube Services at our Airport location and a Detail Service at our Maumee location. Expresso: for fast, friendly and consistent quality service. Come and visit us at a location near you! Copyright © . All Rights Reserved. Expresso Car Wash.